Which Linux distro is best for a beginner who wants to permanently migrate to Linux from Windows? I’ve tried Fedora a couple of times, OpenSuSE never worked for me. I use Linux Mint Cinnamon and it’s similar in looks IMHO, to Windows, and easy to use. Linux Mint Cinnamon Edition if you have at least 4 GB RAM and a decent processor, let say intel 3 as enough. Linux Mint Mate or XFCE Edition if your machine is not powerful. For Solus lovers: beyond the lack of packages it is virtually dead, the project chief literally disappeared, if you thinking to make a donation avoid it until further notice. Pour ma part je me suis mis à linux depuis environ 3 ans après avoir essayé et adopté tout d’abord ubuntu maté 16.04 puis Mint tara maté. For my part I started to linux for about 3 years after trying and first adopted ubuntu mate 16.04 and Mint tara mate. Proof: The nonprofit that I volunteer for has put Mint on over 1500 laptops in 3 years. The machines are given to individuals/families that can not afford a home pc. Our calls for support are less than 1% of the total users. I have a couple of friends, still sadly afflicted with Windows, who see me as something of an expert on all things ‘computer’ (a reputation not especially deserved). I have often considered which distro I would recommend to them if they ever showed any interest in switching to Linux, and Mint with MATE is right at the top of the list. Your observation on the low level of support calls, together with my own experiences of using it, reinforces that view. Linux 18.04 with GNOME or Linux Mint with Cinnamon are the only end user friendly distros. I have tried almost all major distros and given up on the rest. Mint will not install drivers for the wireless network automatically. That is the only complaint I have about it. Thanks. In my opinion, for someone migrating from windows, it would be Linux Mint. easy to figure out and with lot of apps already installed. Still using 2 pcs Pentium 4 CPU desktop PC from AD2005 running Lubuntu 18.04 …very effectively ,be it not superfast of course . Will keep using the machines until 32 bit Linux distros are no longer available. Lubuntu 18.04 will (I understand) be updatable unitl at least 2021. Intend replacing the HD of some of the above machines with an 120GB SSD which have become dead cheap lately. Honestly that is a loaded question because everyone has their favorite distro of LINUX. For example I think OpenSuSE is great if you are just coming from a long time Windows environment. It has all the tools you are familiar with and the interface is very much like Windows you are used to. Use either Apache OpenOffice or LibreOffice for your office suite and they both save to and work with MS Office docs. As for gaming, I highly recommend both Steam and to purchase Crossover for LINUX which allows you to play many Windows games. I used to play World of Warcraft on my OpenSuSE desktop running Crossover and it ran beautifully. They have an excellent set of apps in their repository and it is pretty good about finding all the drivers and such needed for everything on your PC. Media apps are plenty also for just about everything you require. For design you can use Gimp, Krita, Inkscape, and others. Calibre for ebooks, and more. If you would like to try them out first I suggest installing VirtualBox on your windows system, it is free to download and use, so you can then try any number of LINUX distros using a VM (Virtual Machine). You just download the ISO of the distro and then use VirtualBox to create a virtual installation of it. Try not to assign more than half of what your total machine has in processors, RAM, etc in order for it to not lag or crash your system. Easy to setup and use. Good luck and welcome to the world of real computing! You will LOVE LINUX. Once you get used to it you will never look back. I agree with your reply to @Helio It is unhelpful and not the sort of thing that we want on here - thank you for saying so. Currently Linux Mint is goal for Window$ migration users. Ubuntu is second choice, Peppermint and Linux MX, “close” the list. the one I love is xubuntu 12.04; easy migration from win. so what do you consider an extreme challenge? 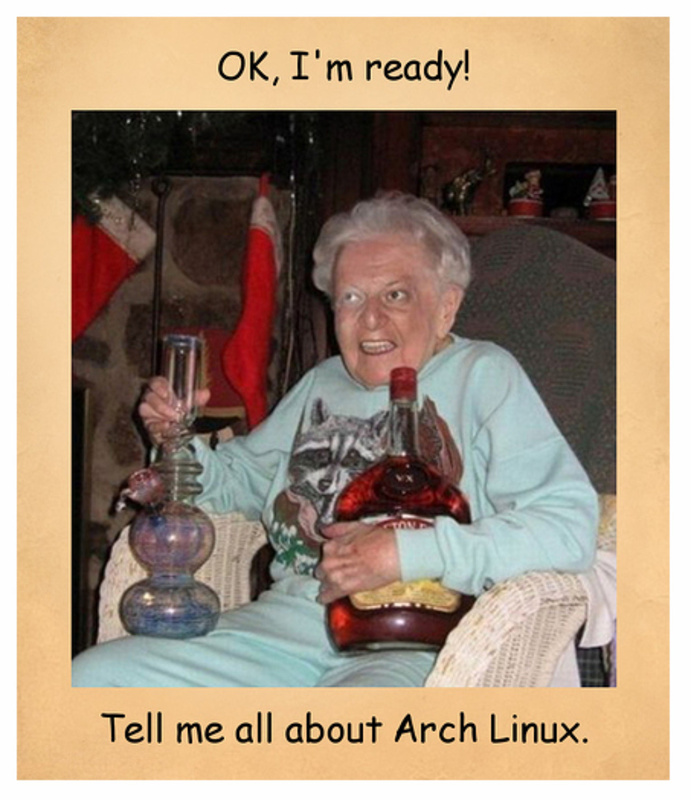 I’m ready for that… Any Arch based distro comes with challenges. Name the distro that will put me in a mental hospital and I’m jumping in! Mint will not install drivers for the wireless network automatically. It depends a lot on which card is in your machine. Most Intel cards are supported out of the box with Mint and many others Atheros cards are somewhat supported, Broadcom is another story - almost always you’ll have to install a driver or firmware file to get them going. Each Distro determines what they will install and what they won’t with Mint they won’t in stall proprietary drivers up front. MX, Manjaro do but not always the right ones for you card. In most cases it’s quite easy to install the correct driver once you know how to do it. The rub comes in that if your laptop does not have ethernet connection then it can be difficult.